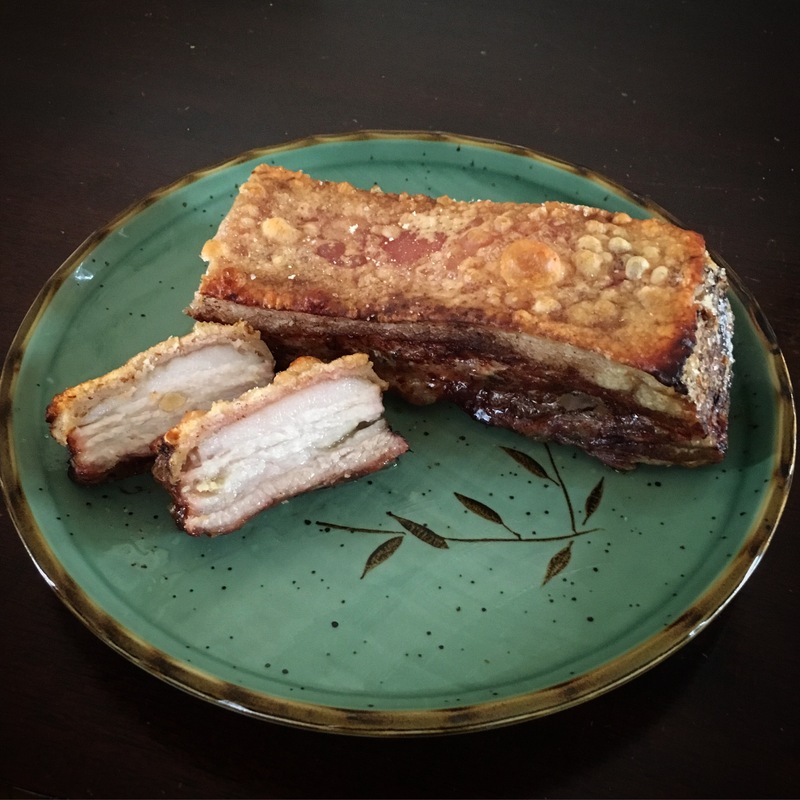 RasaMalaysia has an easy-to-follow recipe for amazing Chinese roast pork. You just need pork belly, garlic, five spice powder and salt. The skin gets super crispy and the pork is moist and flavorful.